After Museum Says No, Neon Lobster Vanishes | News and Features | Style Weekly - Richmond, VA local news, arts, and events. 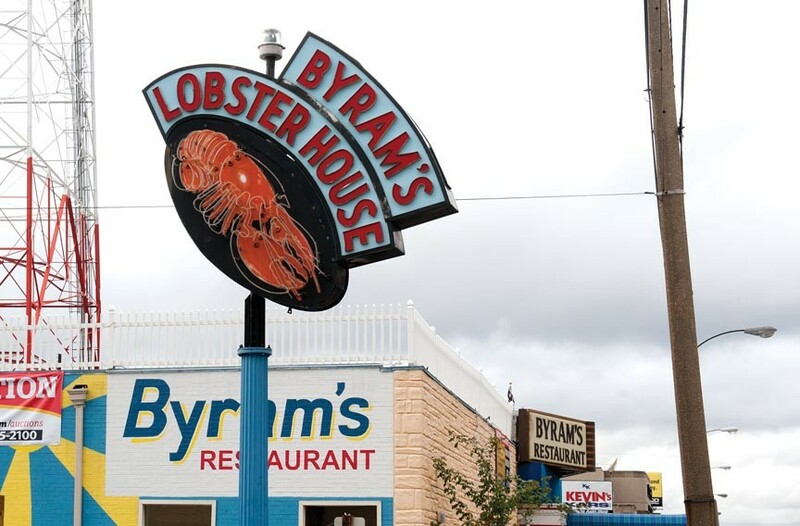 Byram’s famed lobster sign, last seen on West Broad Street, is still missing. Whatever happened to Richmond's favorite neon lobster? 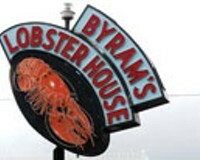 For more than 60 years, the glow of the human-sized illuminated lobster on Byram's Lobster House adorned Broad Street near Boulevard. That changed after the restaurant was purchased last year by husband and wife team Jeff and Corina Kelso. The Kelsos tried to make a go of Byram's, but ultimately couldn't breathe fresh life into the aging establishment. They shut it down in early 2012 and reopened as the short-lived Tower Fish House. In the changeover, the beloved Byram's neon sign was removed from its perch in the restaurant's parking lot. The Kelsos attempted to donate the sign to the Valentine Richmond History Center, but the luminous crustacean was declined. Bill Martin, director of the Valentine, says the museum already has a sizable collection of neon, and maintaining the signs is difficult and costly. "At some point we just can't take everything," Martin says, adding that the Valentine already cares for 1.5 million objects. "No doubt, we are Richmond's attic." Jeff Kelso told another media outlet that he planned to donate the sign to a nonprofit, but didn't specify the group. Phone calls and emails to Kelso seeking comment weren't returned. His personal website says he's retired and will move to Romania this month. The restaurant location is for sale or lease through real estate agency Bandazian and Holden. Raffi Bandazian says a local sign company has removed the sign and may have placed it in storage. But, he adds, he doesn't know location of the sign. Neon signs aren't the only reason Byram's has attracted headlines. In 2011 former owner Konstantinos "Gus" Nikiforos pleaded guilty to misdemeanor property damage after dumping an acidic substance on the building of a rival business, causing more than $30,000 in damage.